 All plastic construction won't rust, dent, chip, or peel. 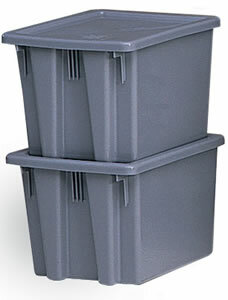  Patented design allows convenient stacking or nesting.  Rounded corners and smooth surfaces are easy to clean.  USDA 3A (Dairy) Sanitary Standards and Meat & Poultry Equipment Group Listed.  Assists in complying with HACCP guidelines. 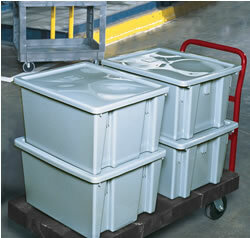 Storage Bins, Tote Boxes, and Tote Bins from your source for material handling equipment.